I Live In A Fictional World: New Finds! I don't know if this post qualifies for "Waiting on Wednesday" because I'm not really up on the memes, which is why I chose not to name this post as such. Regardless, I did find out about these two great books, courtesy of the authors Melinda Metz and Laura J. Burns (link to their website). CRAVE tells the story of Shay, a terminally ill girl, who begins receiving a new type of transfusion. The transfusions give her visions of a vampire's life. Could he be real? (Semi-spoiler: Yes, yes he could!) 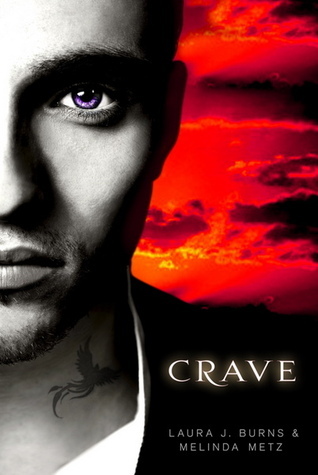 Crave is scheduled to be released September 21, 2010 in paperback, so keep a look out! ECHOES (Fingerprints #1-3) Rae can touch any object and hear what whoever touched it before her was thinking! When she hears that someone is planning to hurt her, she teams up with Anthony to find out who. Echoes is out on shelves now, so hurry and get your copy! Check out the full synopses for both these books by clicking on the links! I've been offered copies of both Crave and Echoes by Melinda Metz for reviews and I'm really excited! Thanks Melinda!